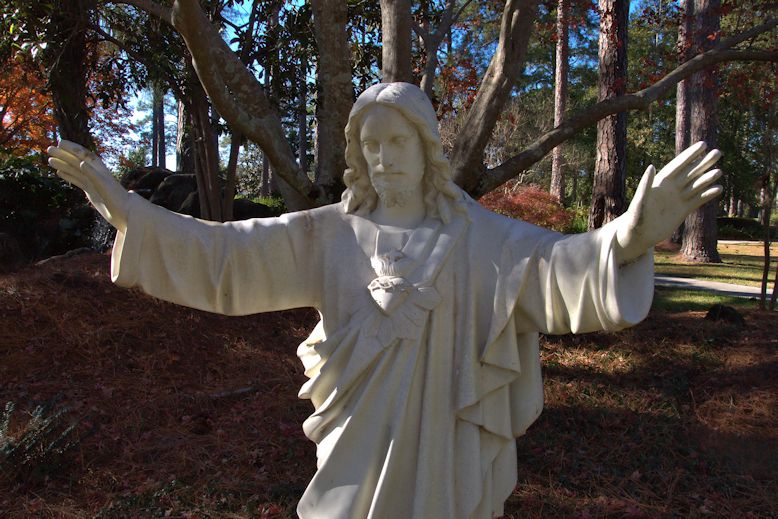 Guido Gardens is a place of refuge, just a couple of miles off I-16 in Metter, which has always been free and open to the public 24/7, 365 days a year. 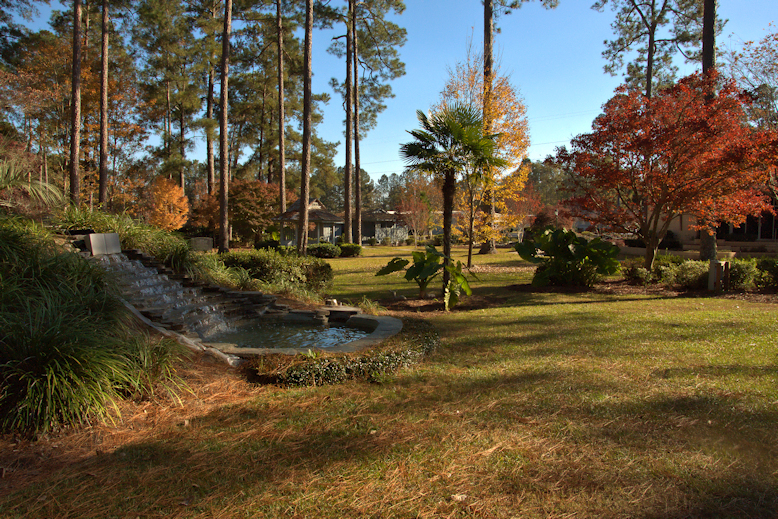 Walk around these three acres and you’re guaranteed to find a sense of inner peace, no matter your faith or belief system. It’s a testament to the vision of Michael Guido, who was better known as “The Sower” through his syndicated newspaper column and radio and television broadcasts, Seeds from the Sower. His wife, Audrey, was responsible for the design of the gardens. At a time when televangelists were plagued with scandal, Michael Guido was seen as a stabilizing voice. He never asked for money and actually gave his message to any and all who would hear it. Guido’s Sower Ministries is still going strong. 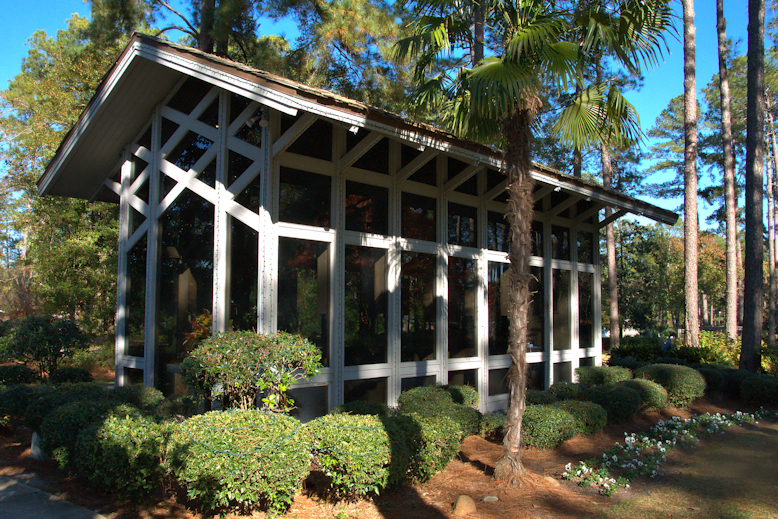 Take an hour and walk through the pines and flower beds. Listen to the calming sounds of waterfalls, which seem to be around ever corner. 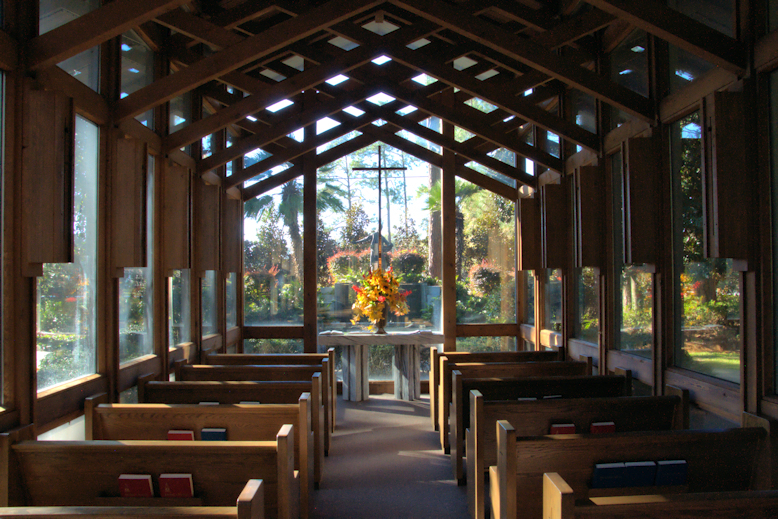 One of the great features of the gardens is the Chapel in the Gardens, a modern prayer chapel built in 1984 in memory of Evelyn Stillwell. Dr. Norman Vincent Peale came to Metter to assist with the dedication. As the guest registry in the chapel indicates, people come from all over the country and even the world to this special place of refuge. 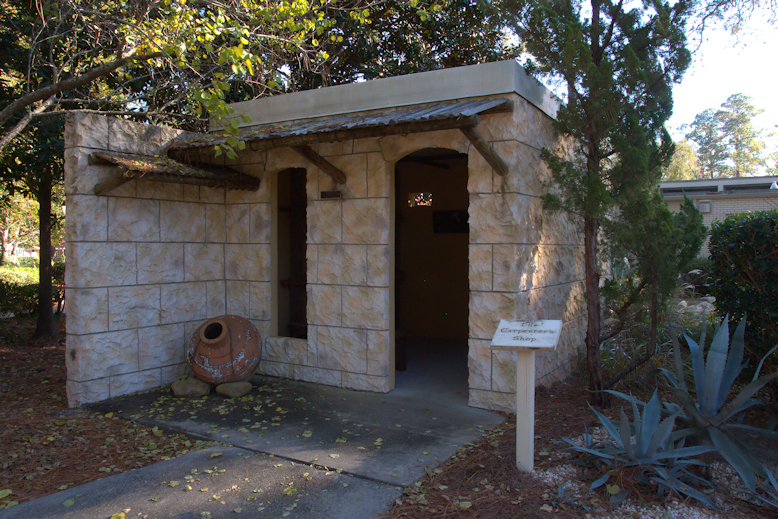 The Carpenter’s Shop and the Empty Tomb (not pictured) are representations of important places in Jesus’ life. 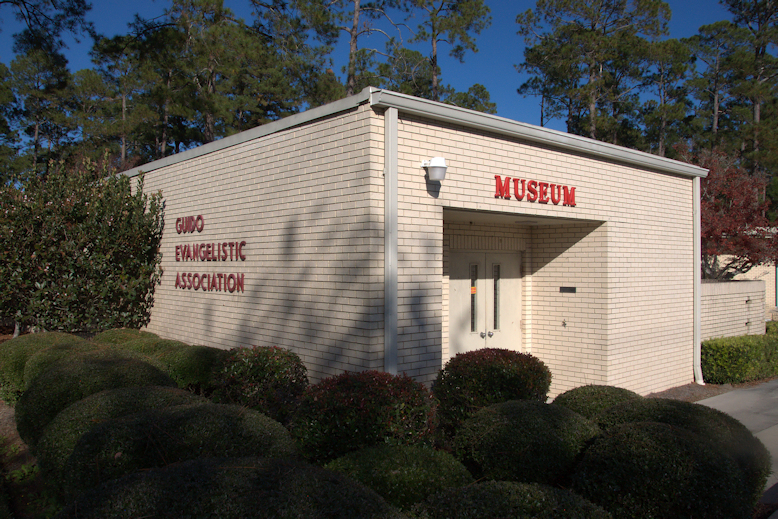 A museum is also located on the grounds. 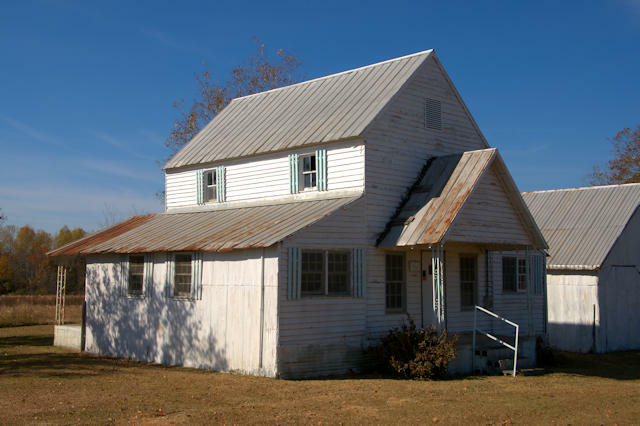 This appears to have originally been built as an unusually small Plantation Plain-style farmhouse with the wings likely added as the family grew. The orientation of the house has also been changed, as well, with the entryways now located on what would have originally been the sides. 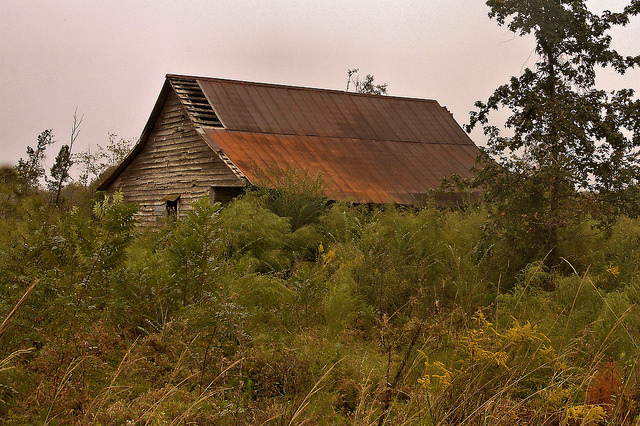 Across the highway on the farm is this unusual barn, which I initially thought was a smokehouse. 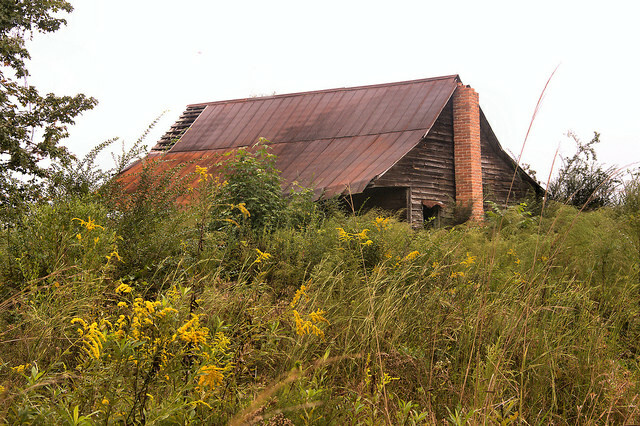 But as Edwin King pointed out, smokehouses didn’t have chimneys. I’m not sure if it was originally a smokehouse, with the chimney added later, or if it had some other function. I just can’t place it. 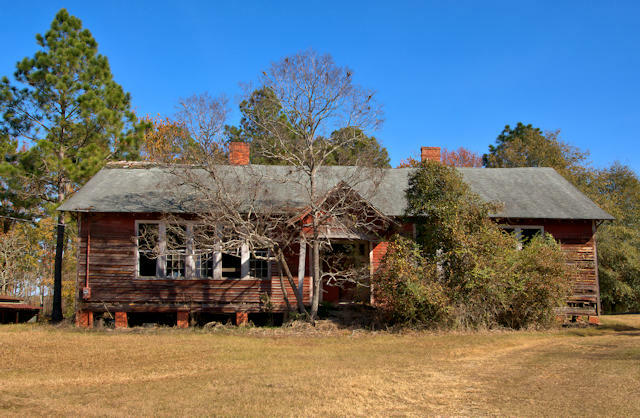 Located between Metter and Twin City is a Rosenwald school known as the Canoe-Hagan School. 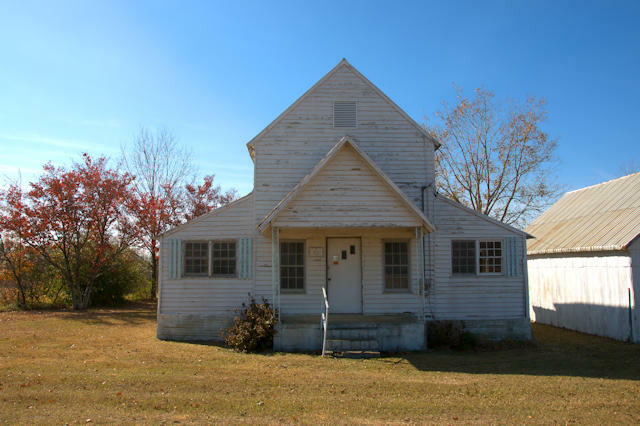 Rosenwald Schools were built through the efforts of Julius Rosenwald and Booker T. Washington and thousands of volunteers all over the South. 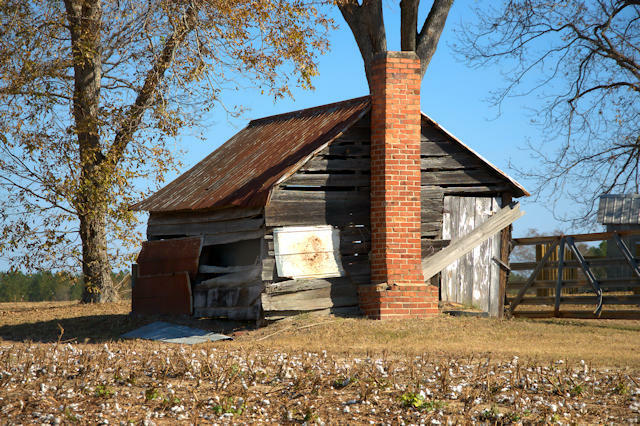 Their purpose was to provide industrial education to rural blacks at a time when Southern states were barely providing them school buildings, let alone a proper education. Thanks to James Palmer for pointing out the Rosenwald connection, and for the identification. UPDATE: Sadly, this landmark burned to the ground on 16 June 2017. 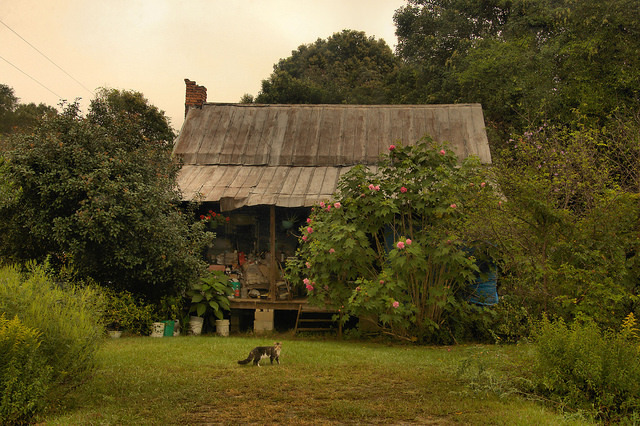 In this beautiful Southern yard, of the nearly forgotten but not-so-distant past, I always see a happy, well-fed cat. The house seems to be begging to have its picture made. A very authentic place it is. In a different version of this photograph that I posted on my personal Facebook page, I called the image “Southern History” because I think in this yard is as much Southern history as you’ll find in any museum. These are the places from which I learn the most. 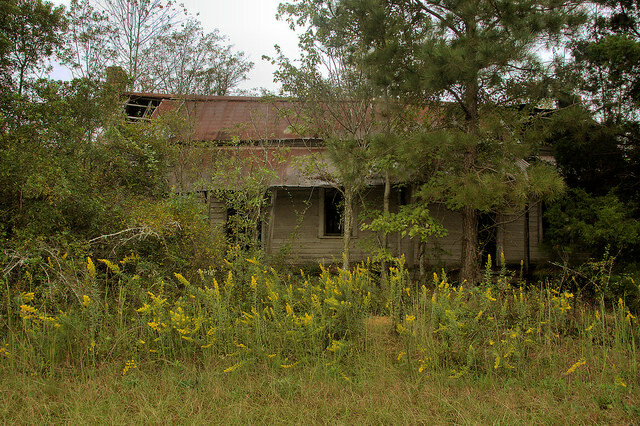 An update: On 1 February 2018, Dr. Fay Stapleton Burnett wrote: I came by there today; apparently this house was torn down, as it is no longer there. The area has been graded, so I believe the landscape is gone as well. 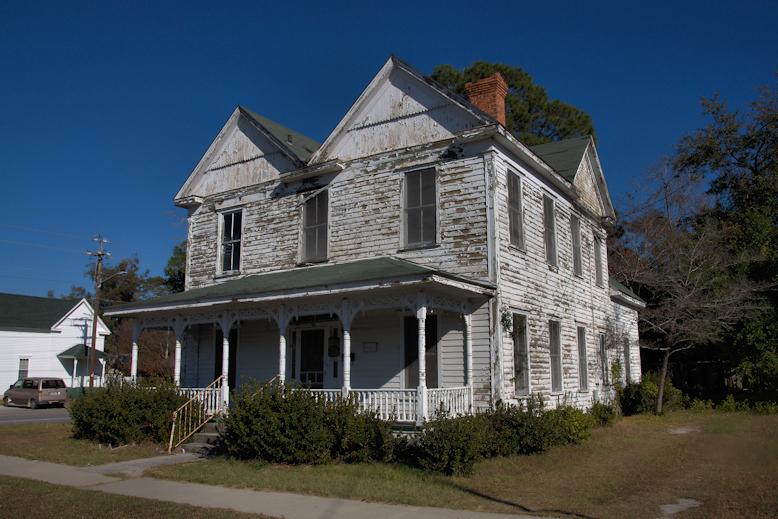 As a child, the Carroll family lived there. Mr. Carroll ran the small grocery store across the road. Rosemary Church Road was dirt at the time, and we lived in the farmhouse just down from here. Mr. Carroll was a fine gentleman – he always wanted me to “try” a piece of a new candy he had, which of course, was just his way of giving me candy! And, Mrs. Carroll had a little Chihuahua, and she fried chicken for the dog everyday! I always thought that was weird…..our dogs just ate scraps! !